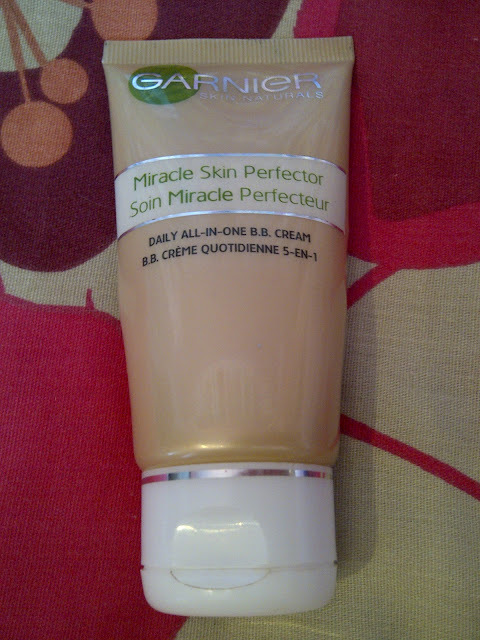 I've just got back to my house in Sheffield and after travelling for 6 and a half hours I can't quite face tackling the last of my essays yet, so thought I would do a little review of Garnier BB cream for you. I've had this product since last November, but sometimes it takes me a long time to decide how I actually feel about certain products and this was one of them, but hopefully I will be able to give you an accurate review now I've used it so much. I bought this last year because I wanted to try something that was heavier than tinted moisturiser, but lighter than foundation and after hearing the unbelievable hype about this new miracle skin perfector, which also claimed to moisturise and protect your skin whilst covering up imperfections, I thought all my Christmasses had come at once! It costs £9.99 from Boots and this is the description from the website- 'Garnier BB cream for immediately perfected skin with even tone and boosted glow. Blurs imperfections and smoothes fine lines. SPF15 protection and 24hr hydration.' When I first tried the BB cream I was very impressed by it as I thought that it covered blemishes and scarring really well and made my face look quite fresh, dewy and moisturised. I do still think that it does these things really well and allows you to use less or no concealer depending on how your skin is behaving, however I have major issues with this product over the available shades and consistency of the cream. 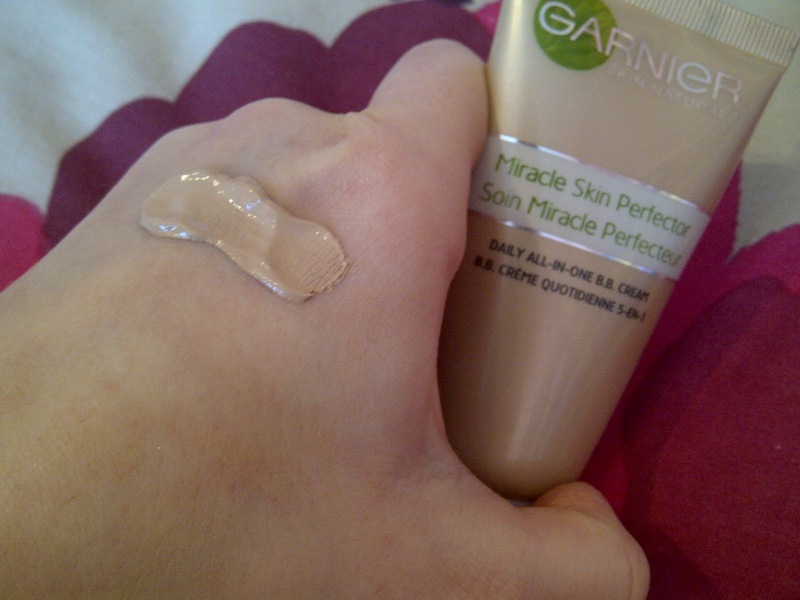 This is because it is only available in two shades- light and medium and I found the light shade was too dark for me even though I don't have very pale skin, so I don't see how people are supposed to find a good colour match. The consistency was a really big problem for me as it was very thick, meaning that it didn't go very far and wasn't very easy to blend. It was also quick drying so I often ended up with a quite uneven finish. Please let me know what your thoughts are of this product and if you've tried any other blemish balms! Right I'm going to crack on with my essays now whilst watching a nice bit of Sherlock, oh the excitements of my life at the moment! I hope your all having lovely Sunday evenings! I waaay prefer the 17 BB cream! It's cheaper and it's a better colour match for me, i usually use it under a foundation for a fuller coverage for nights out or on its own when i just want a i-don't-have-any-makeup-on look haha even though i do of course ;) don't wanna scare any children!! I think it would be too dark for me..
great review! thanks for sharing it! I must admit.. I have never been tempted by this Garnier Cream.. So I'm glad you have confirmed this ! I have this and I wasn't keen on it! Hey beauty, I tagged you: KLICK! I was about to purchase it, and now I'm having a second thought.